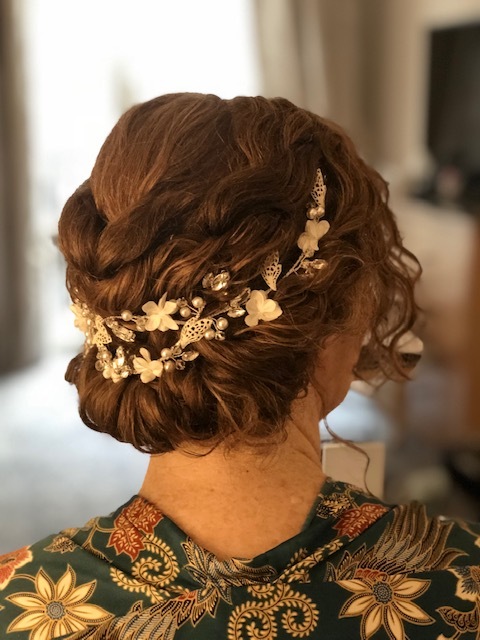 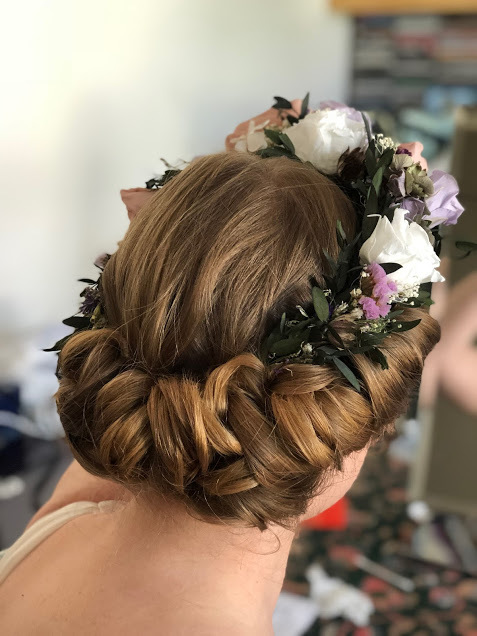 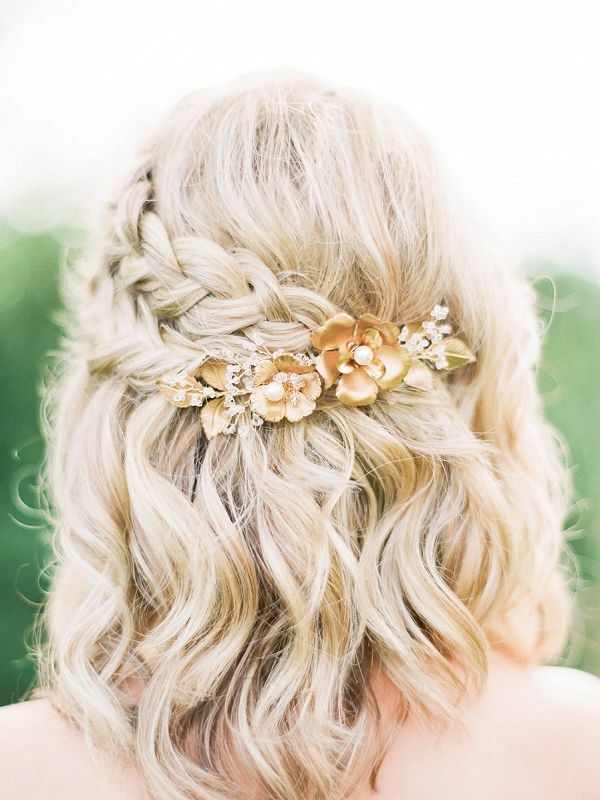 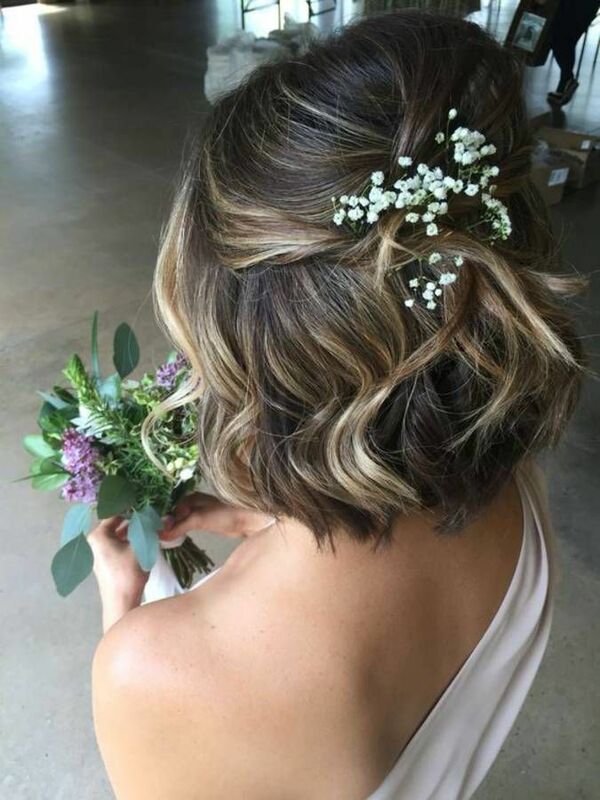 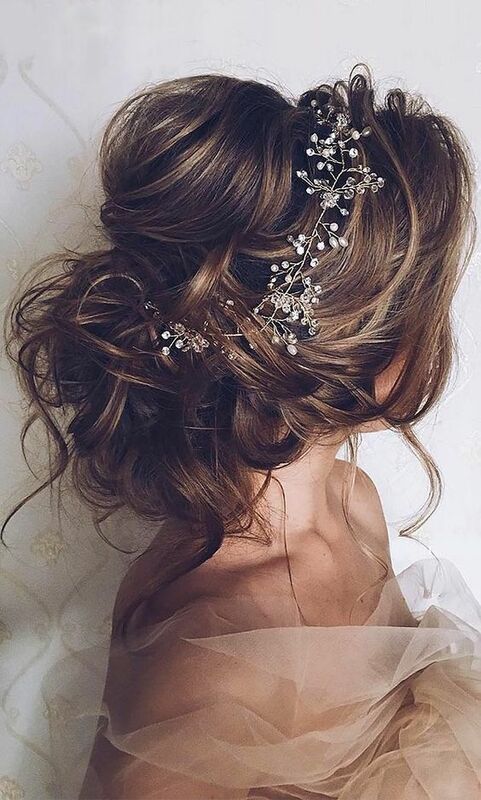 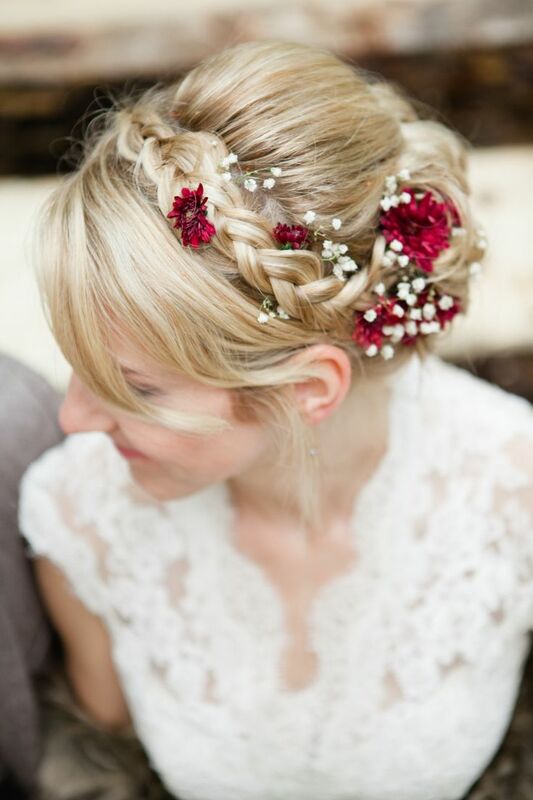 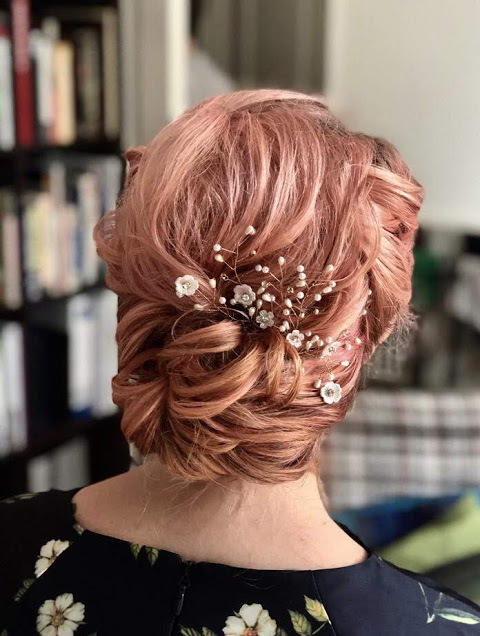 Bridal braid with maroon mums and baby's breath. 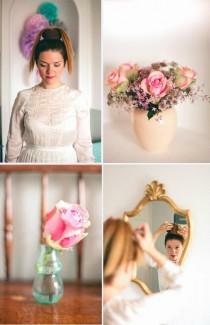 Photography: Corina V. Photogra. 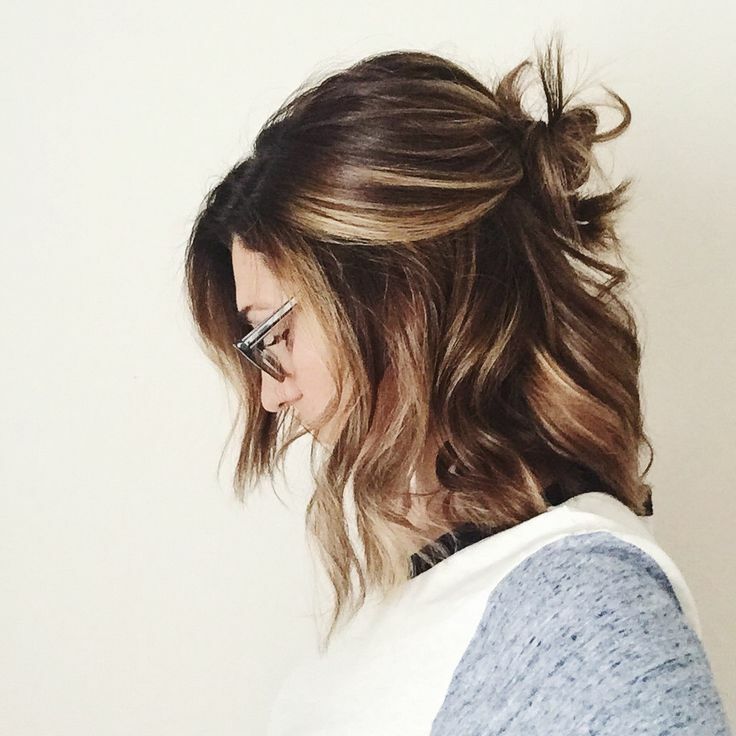 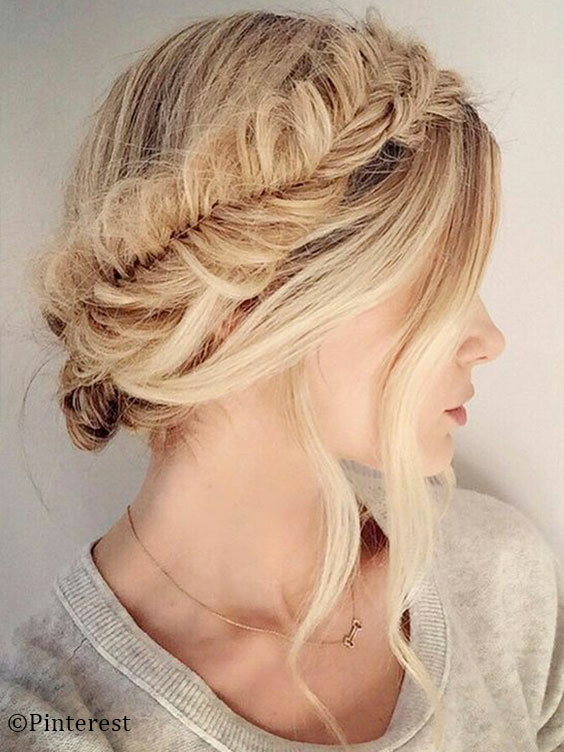 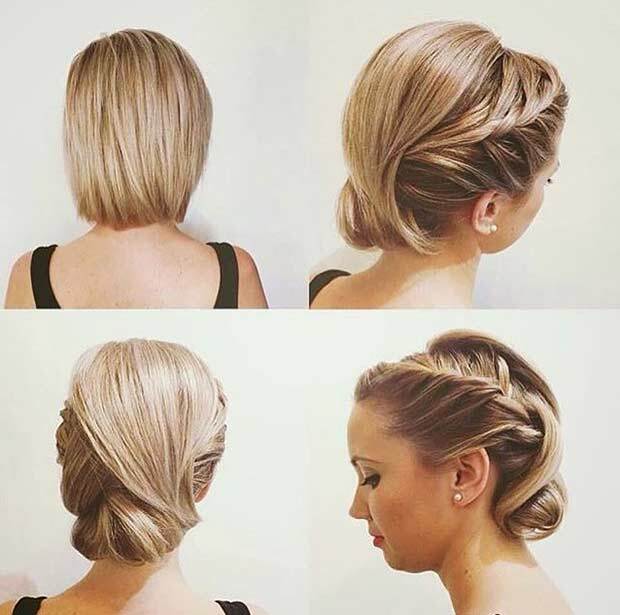 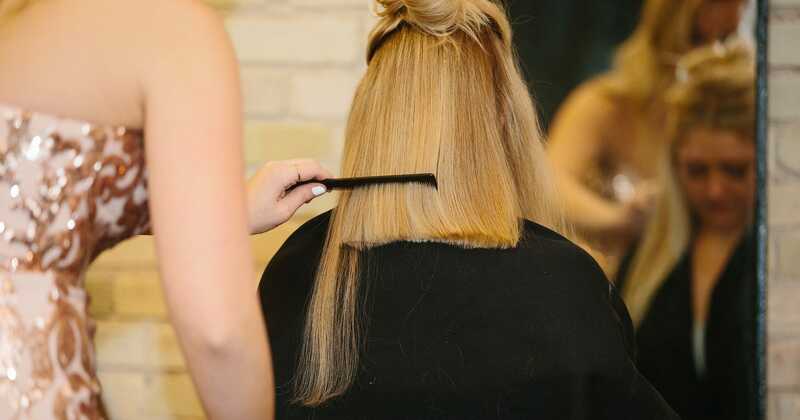 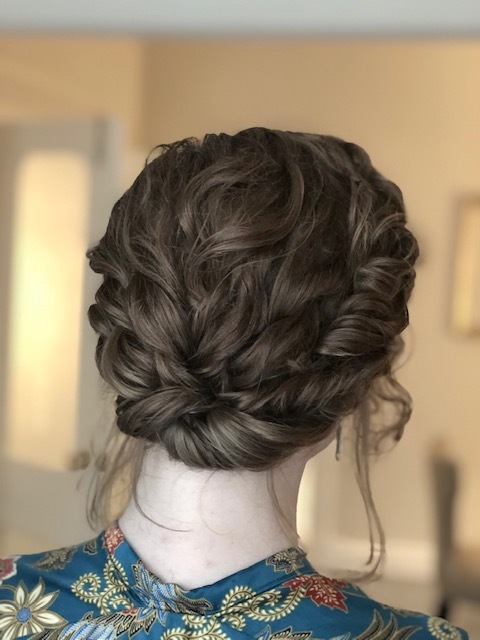 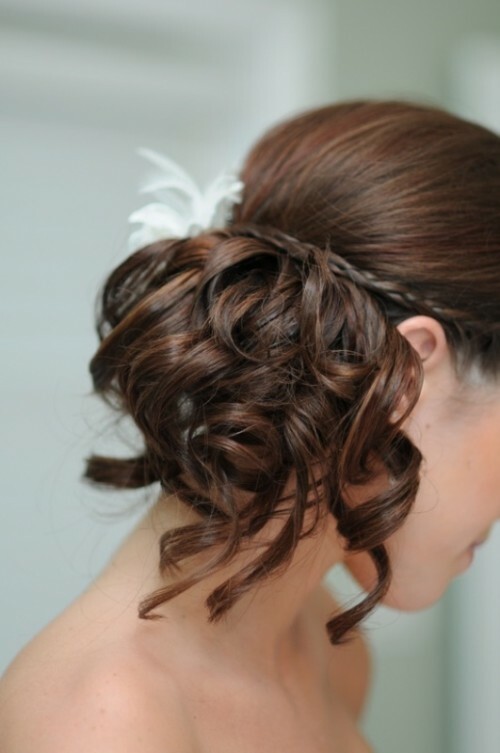 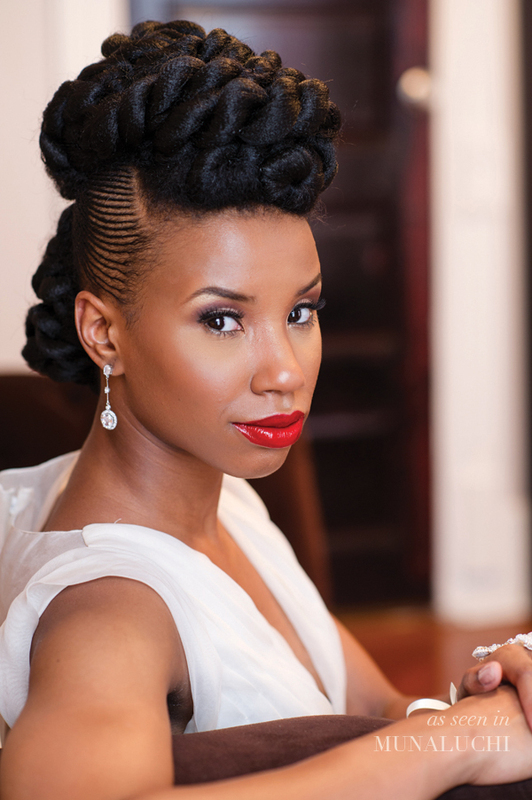 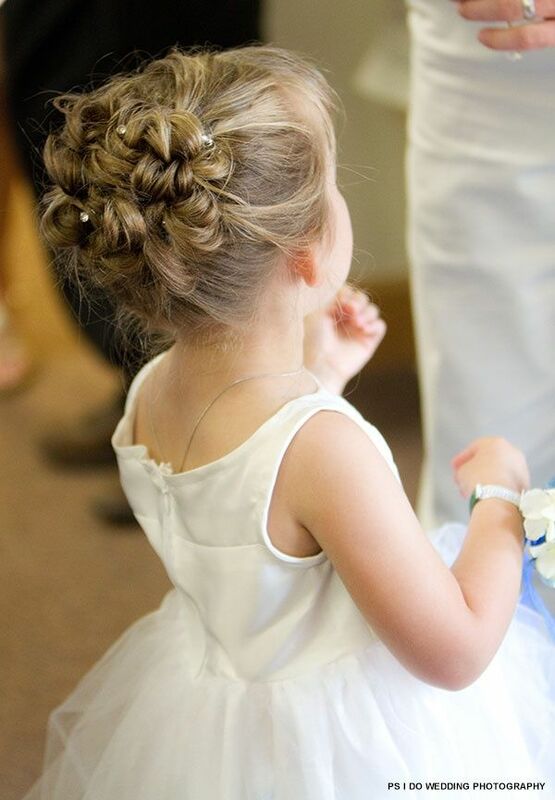 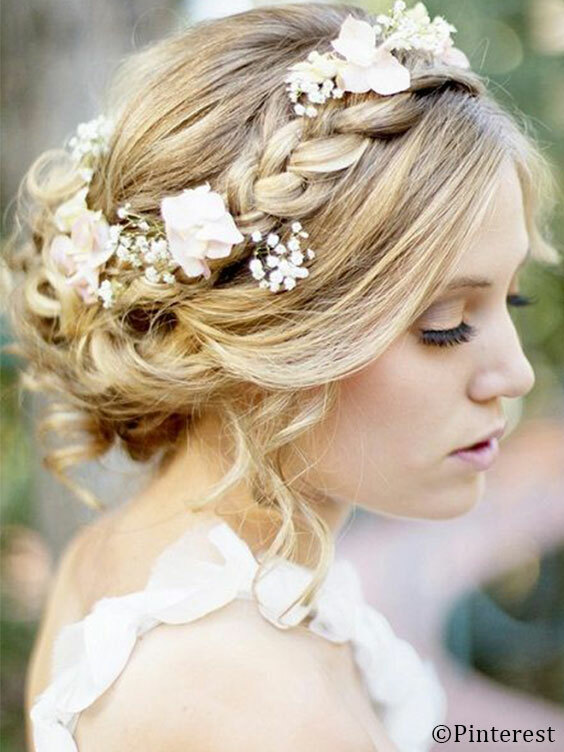 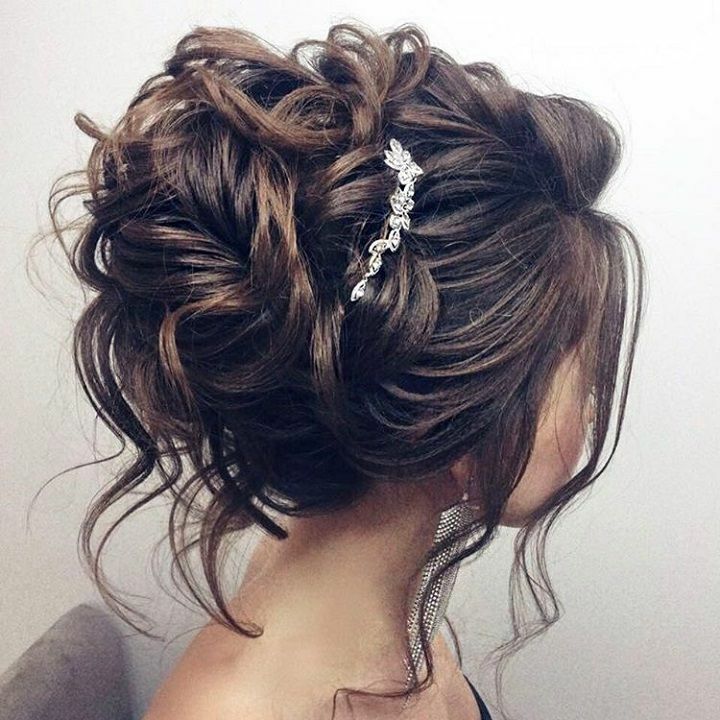 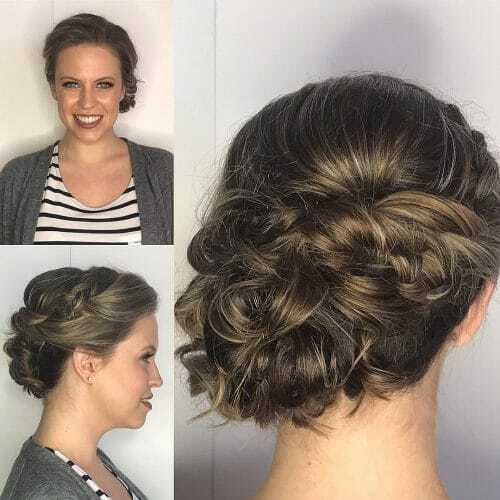 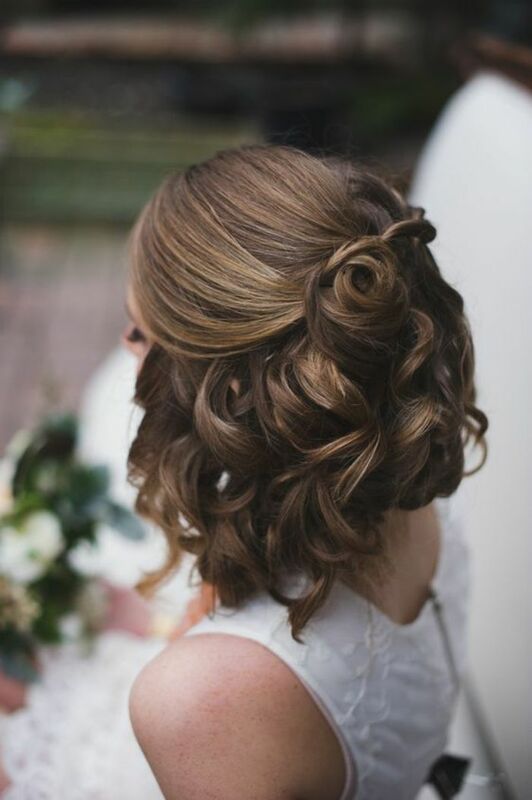 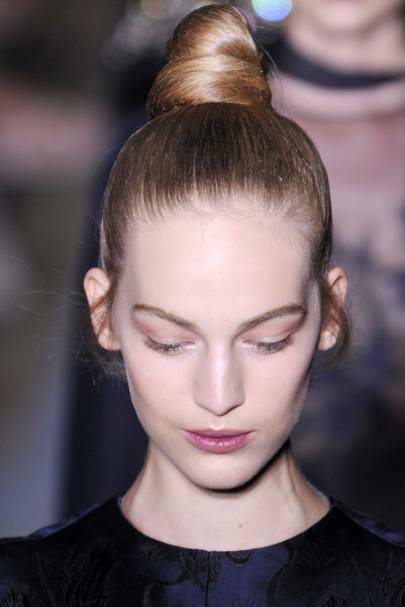 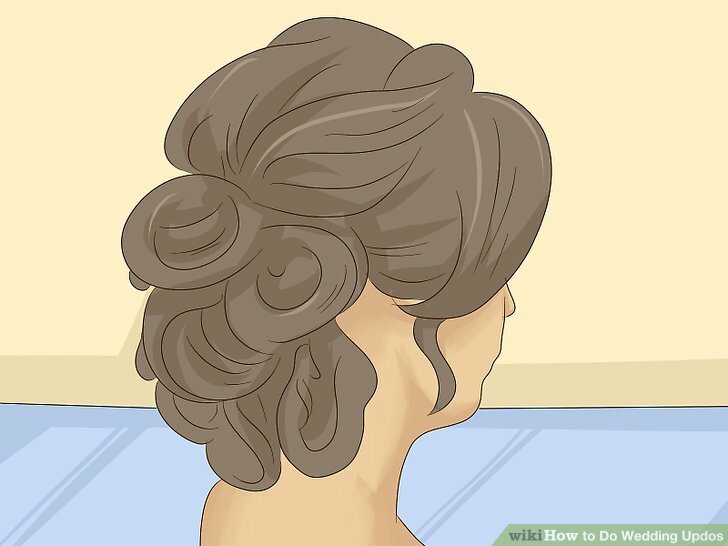 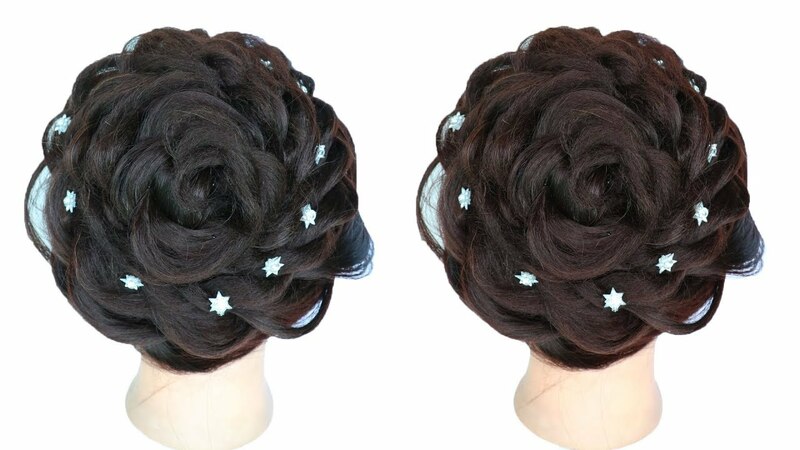 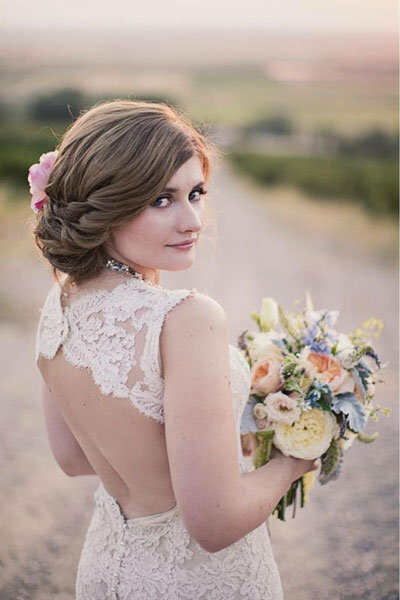 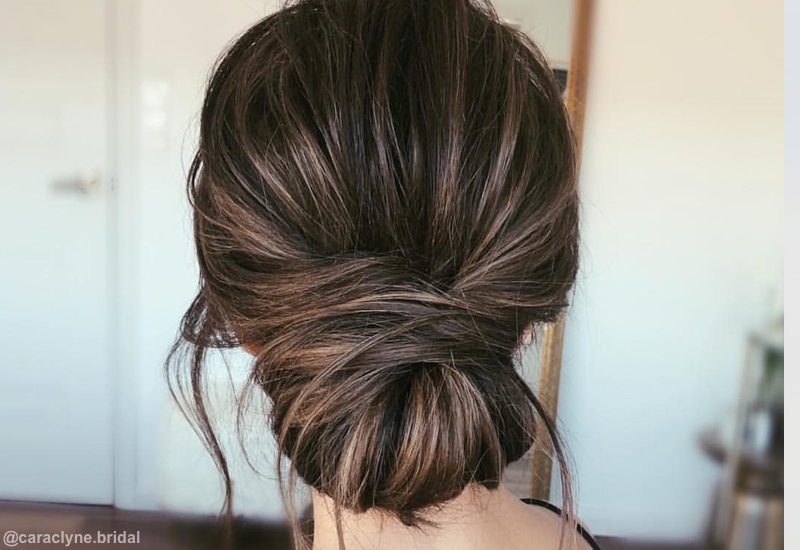 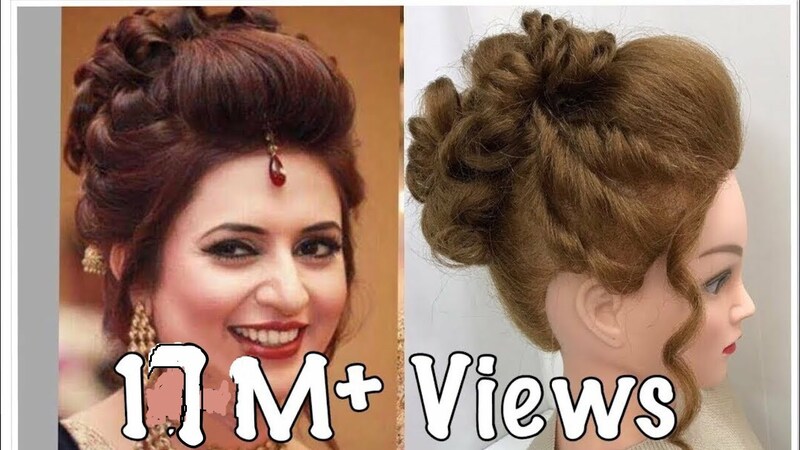 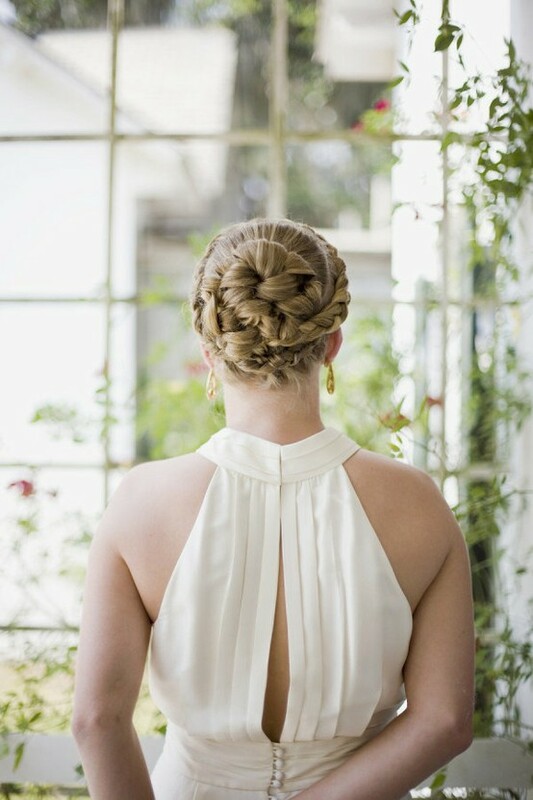 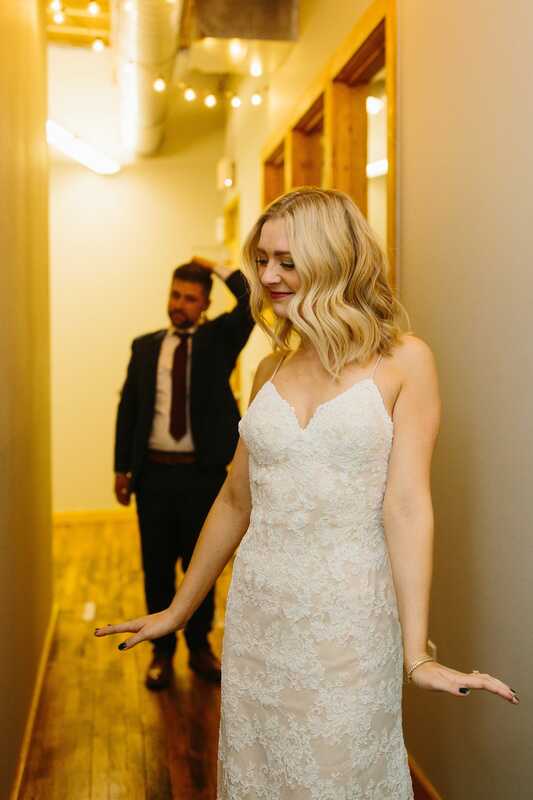 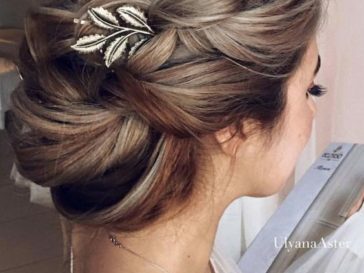 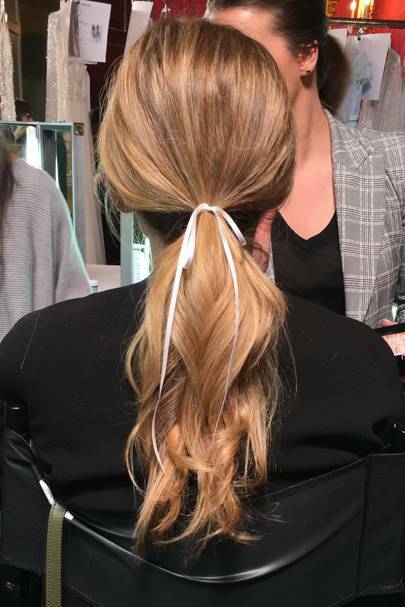 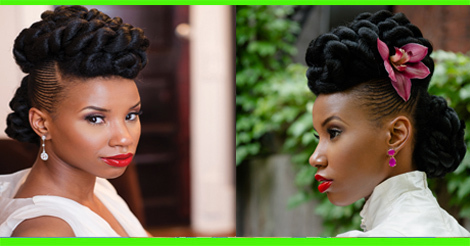 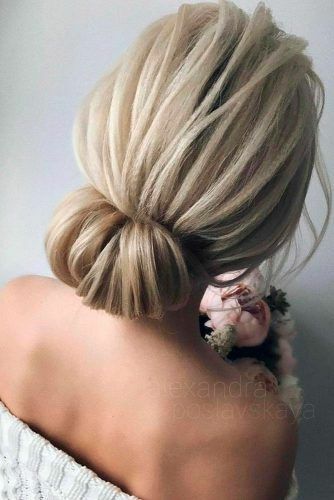 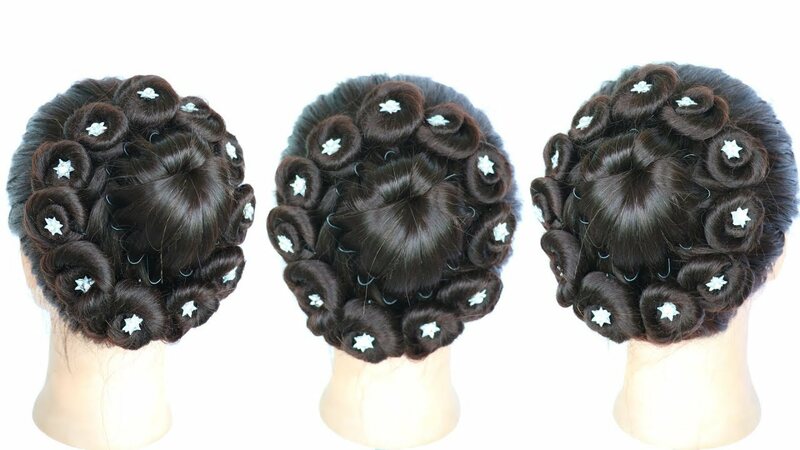 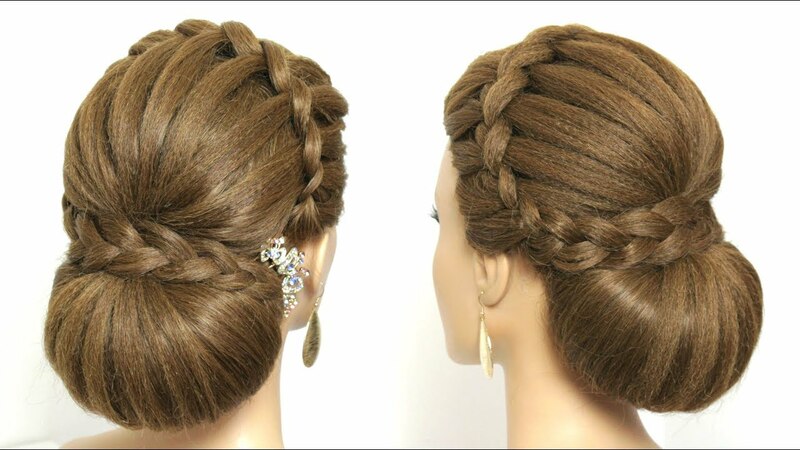 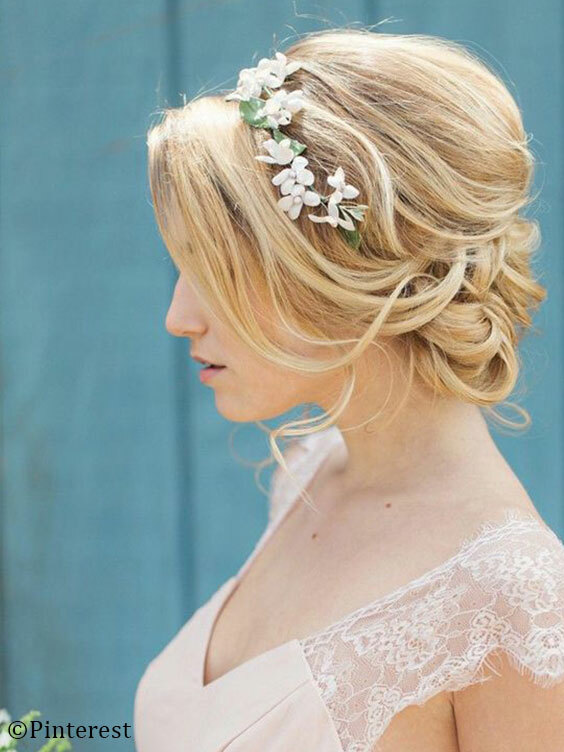 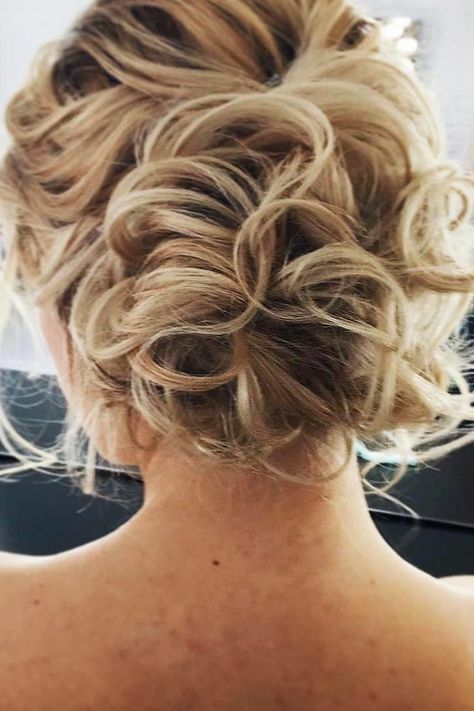 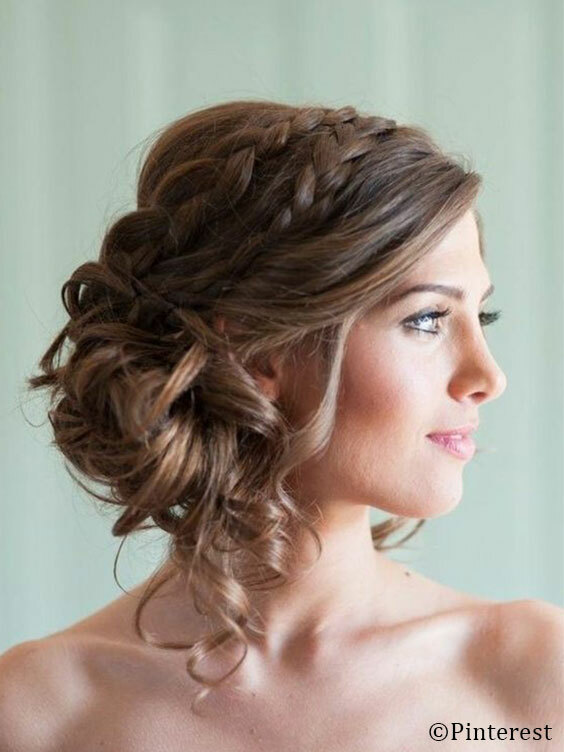 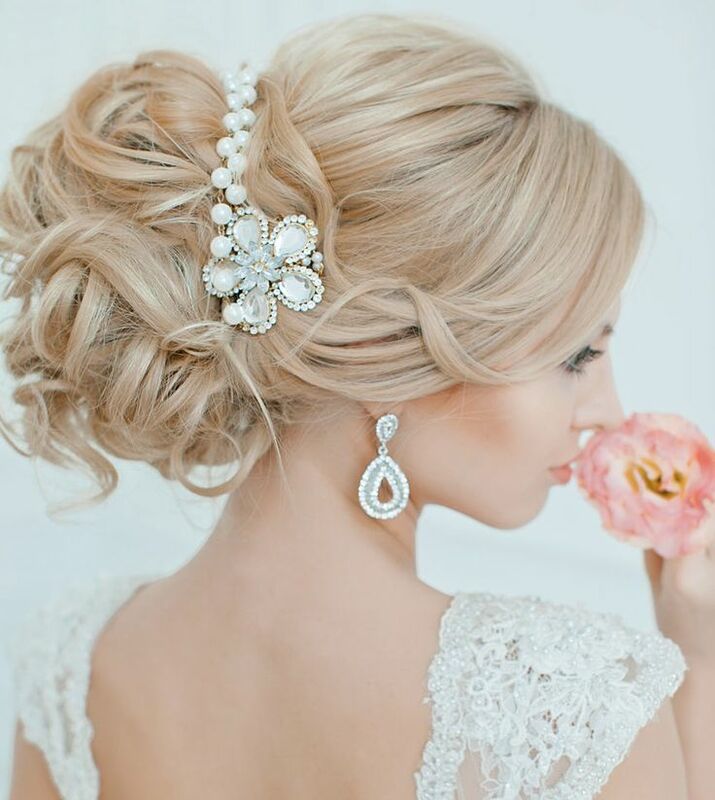 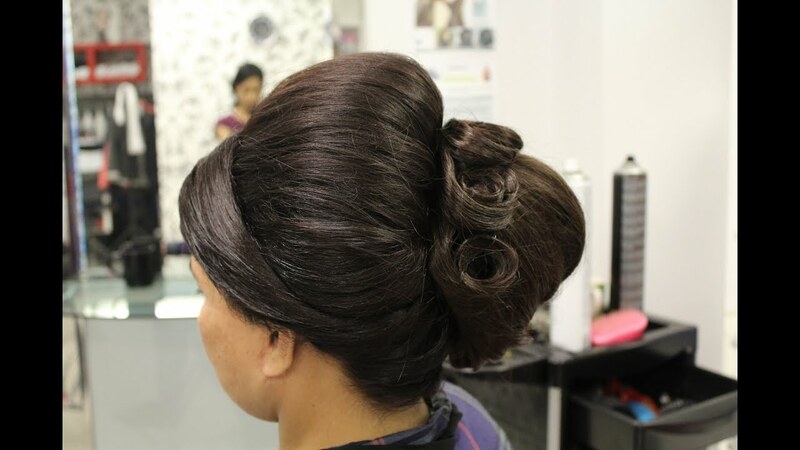 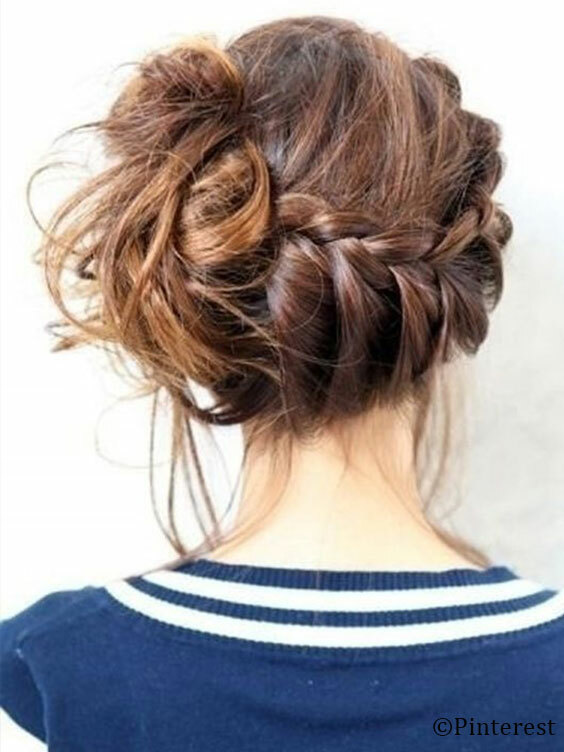 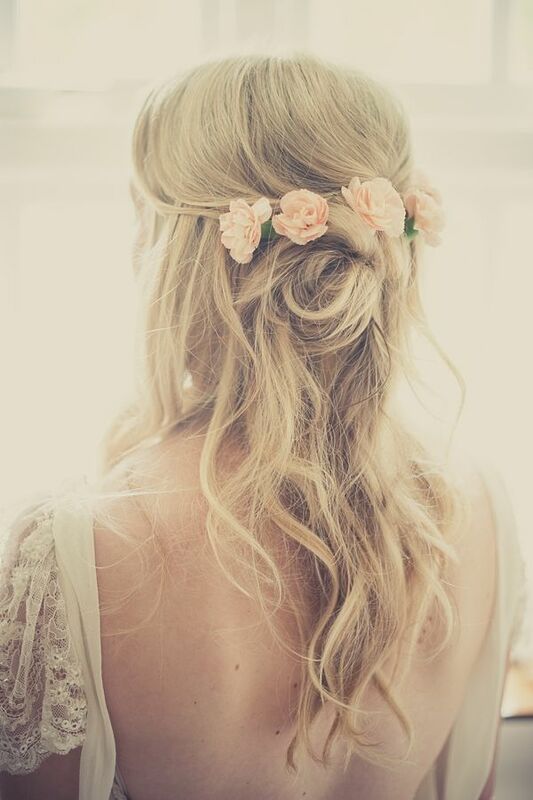 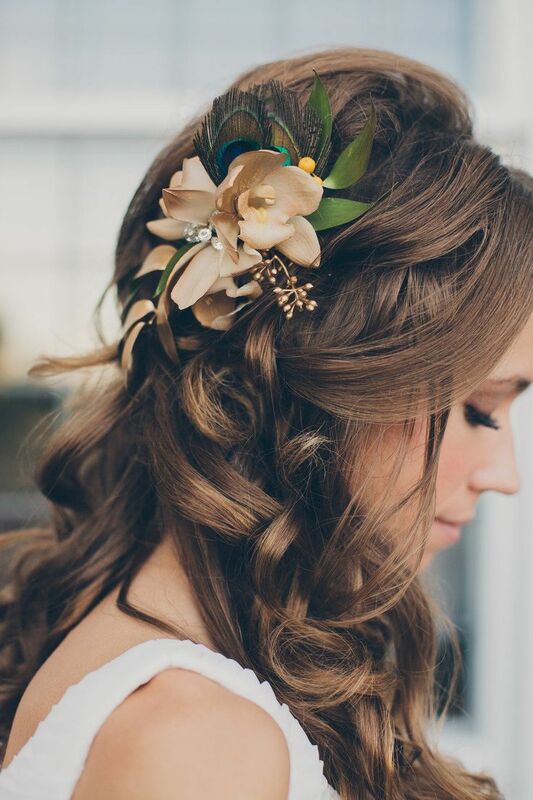 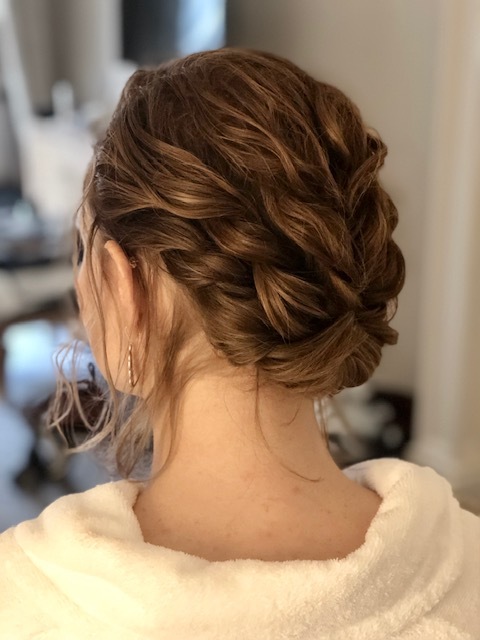 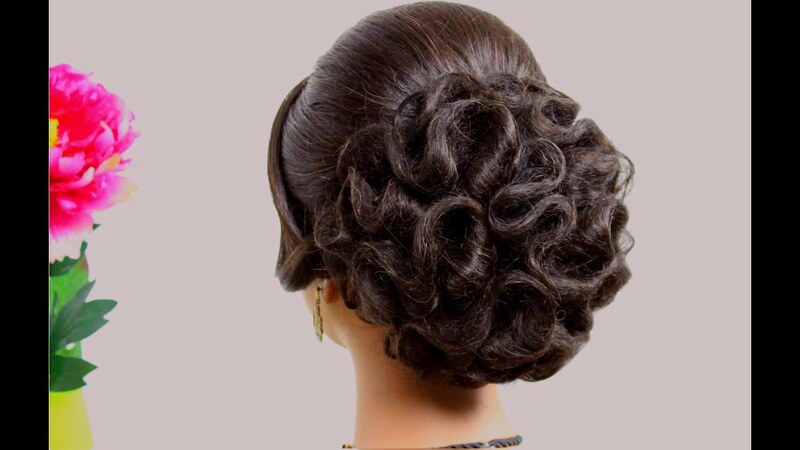 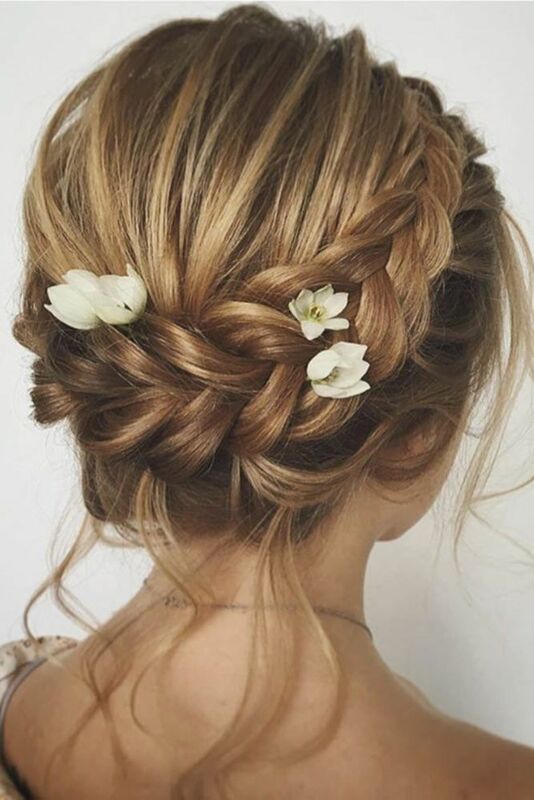 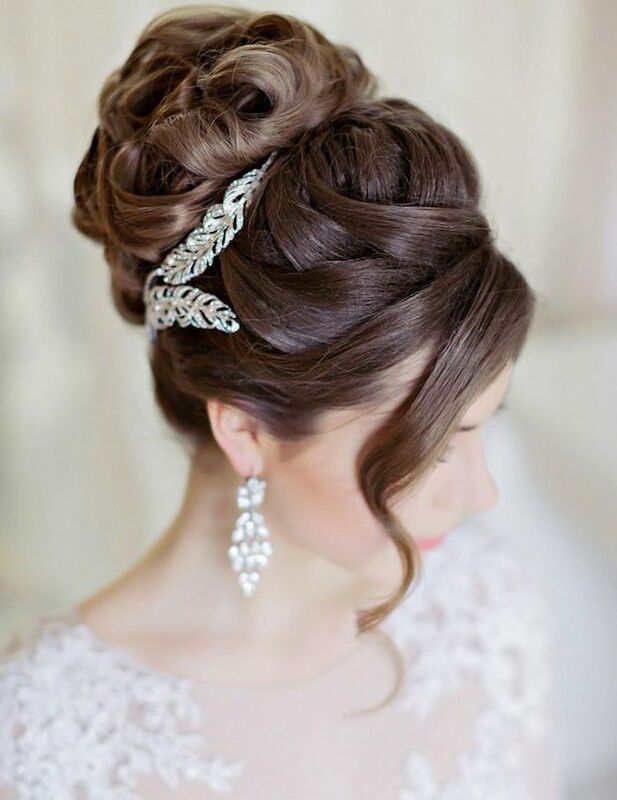 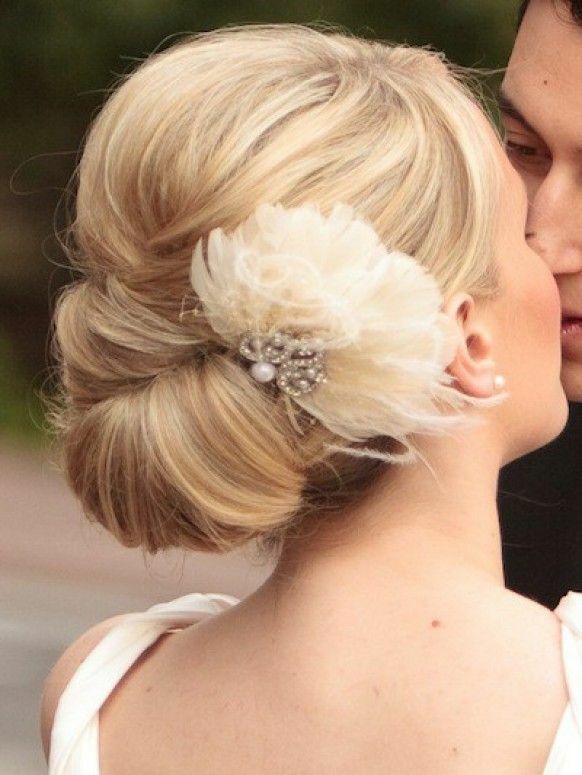 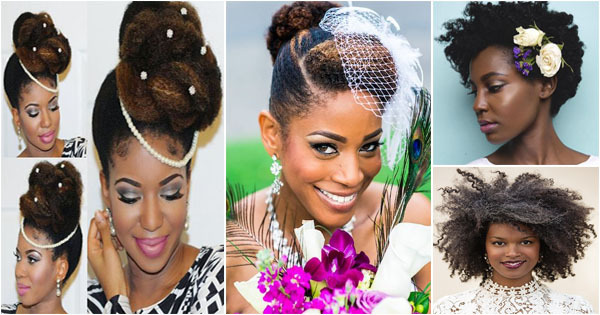 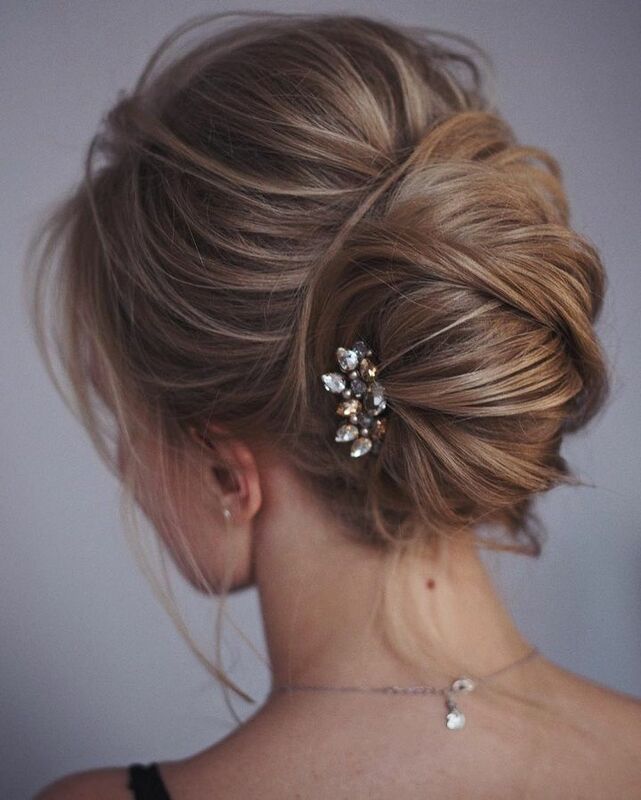 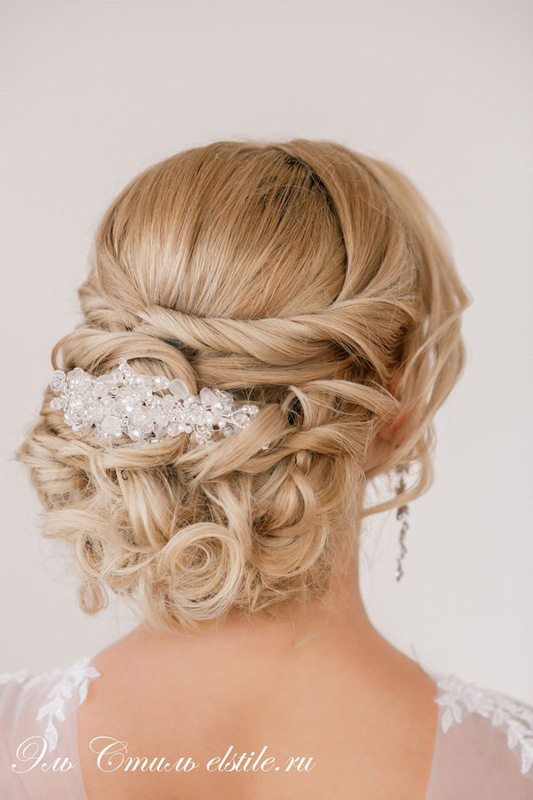 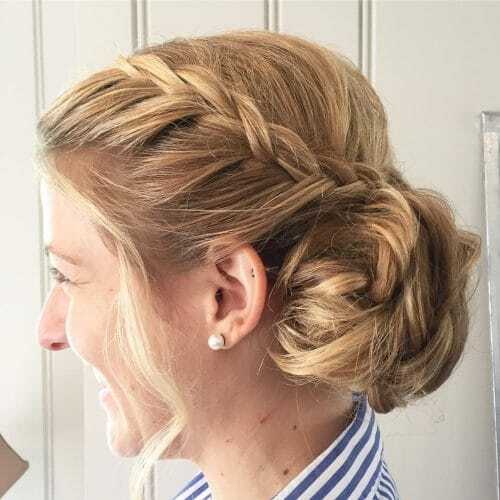 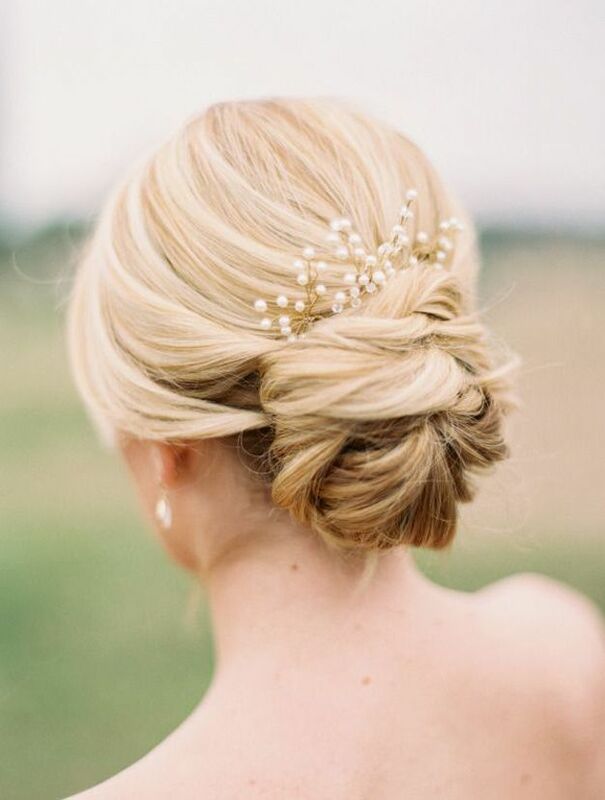 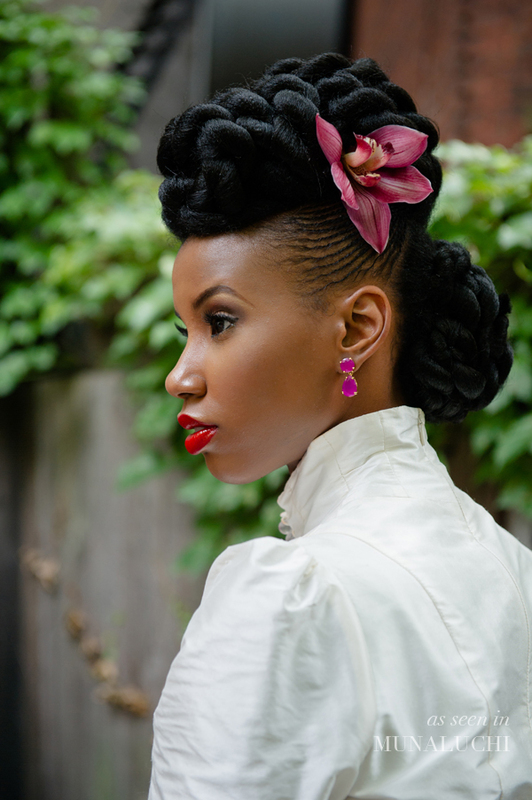 The braided bun wedding hairstyle is easy to do and suits even a formal wedding.